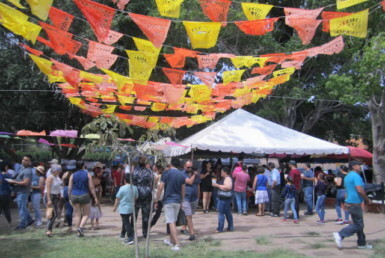 The time around the Day of the Dead is filled with interesting things to do and see. 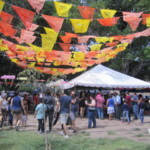 I have already written about the big celebration in the Ajijic plaza with the Zombie Thriller dance and parade, pumpkin carving contest and art and craft show. 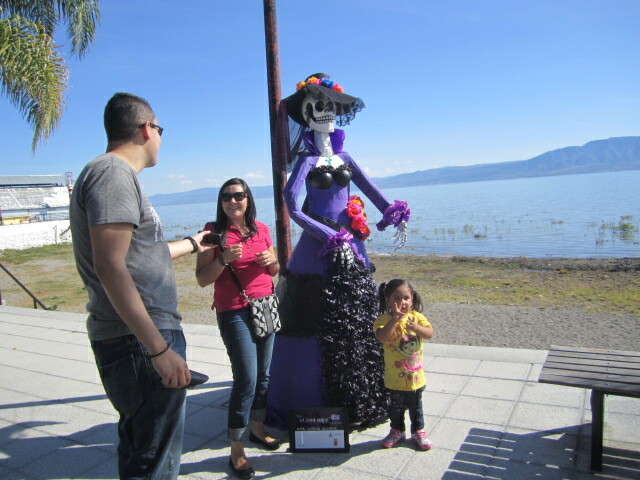 These life sized, actually larger than life sized, Catrina Dolls were also out on the Ajijic and Chapala plazas. 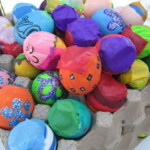 They were created by the school children with help from local artists. 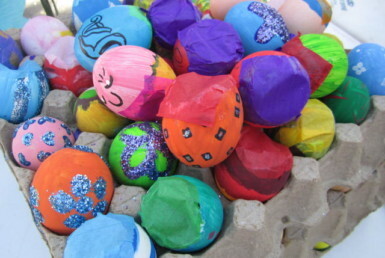 Most of them were made out of recycled materials. They were a lot of fun to see and photograph. I hope you enjoy them as much as I did. Each Doll had a plaque with the doll’s name, yes they were named, and the school and artists who helped make it. One of the things that I enjoyed most was photographing people as they related to the dolls. 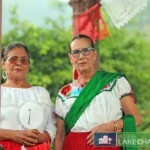 Some of the dolls were named after famous people, such as Frida Kahlo. 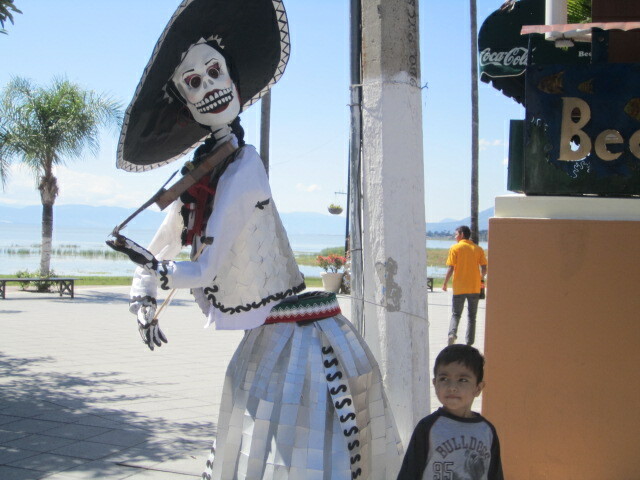 Catrina dolls were first created by the famous Mexican artist Jose Guadalupe Posada. He is known as the father of Mexican Modern Art. 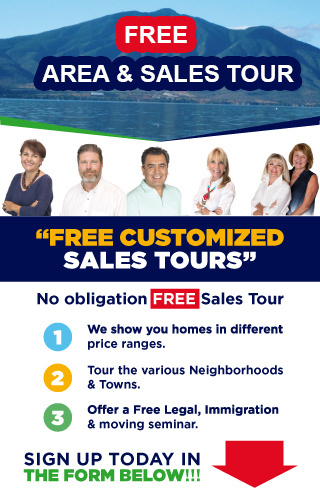 He called them La Calaca. Later on, the name was changed to La Catrina. The first doll showed up in a zinc etching he created around 1910. 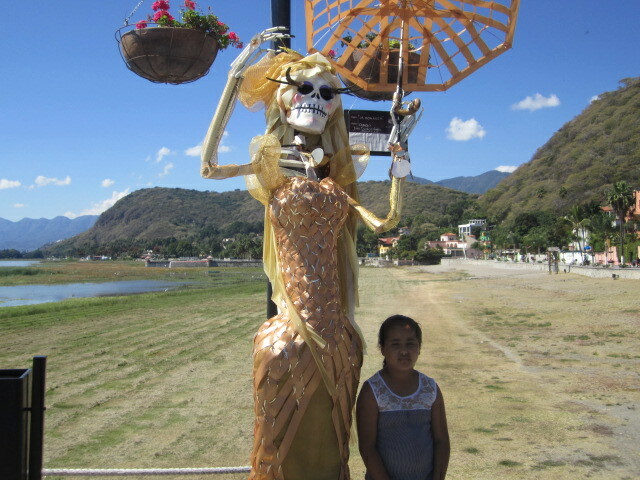 A skeleton Lady Pasada. 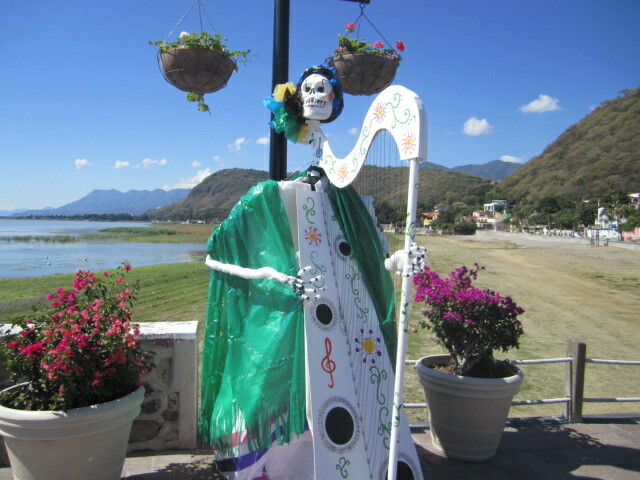 She was also called La Calavera Gabancera, which means Dapper Skeleton or Elegant Skull. 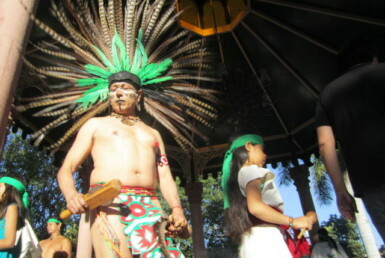 It represented people of indigenous ancestry who were denying it and imitating the European style. It was a leaflet and the etched figure also represented death. 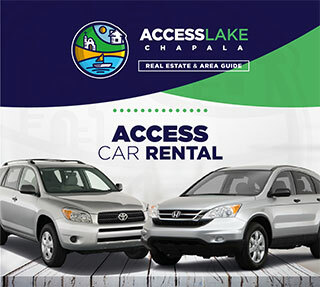 The white face on the skull symbolized the upper class and their fear of appearing dark skinned. In 1948 the doll appeared in a mural by Diego Rivera. 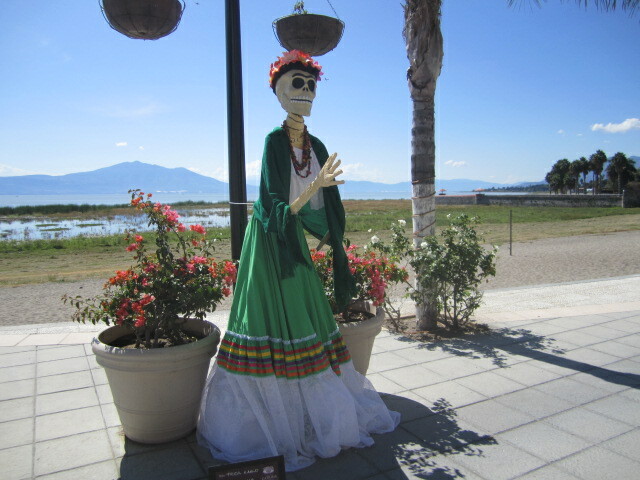 He changed the name from La Calaca to La Catrina. The first one in the etching was just wearing an elegant hat. Diego Rivera put his in a fancy French dress. 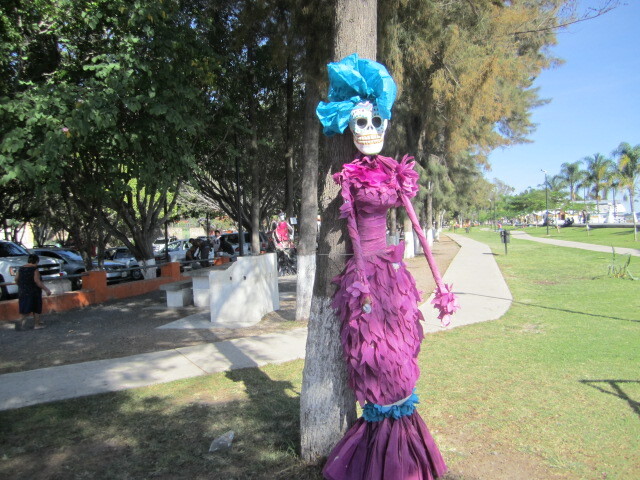 La Catrina is slang for well dressed or elegant. Rich people. He made the doll popular from then on. The dolls from then on were dressed up in the French style, and the skulls always had the white faces. 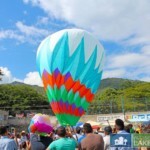 They became very popular during the Day of the Dead season. 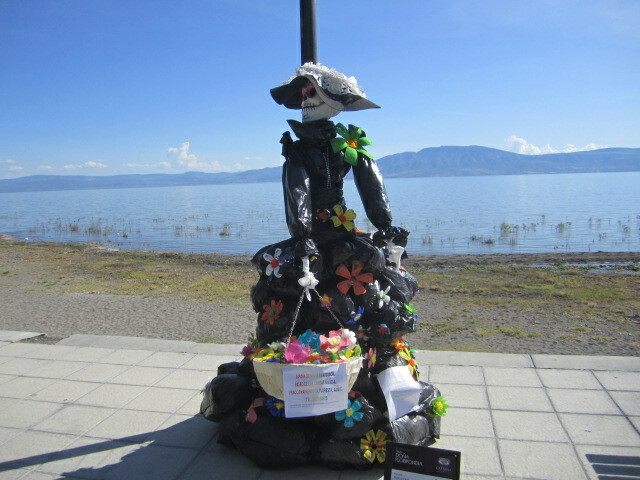 The Catrina doll in the above photo was made out of black plastic garbage bags. What a strange combination, a fancy French dress made out of black garbage bags. But it was beautiful. 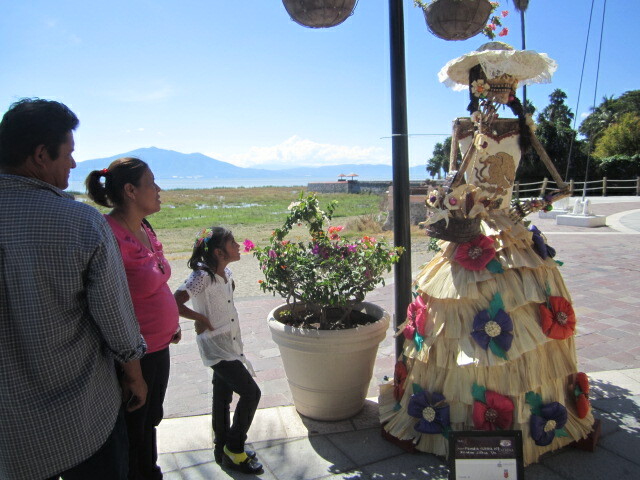 Several of the dolls were in the park beside the Ajijic malecon. 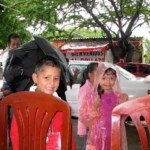 They too got a lot of attention, especially from children. 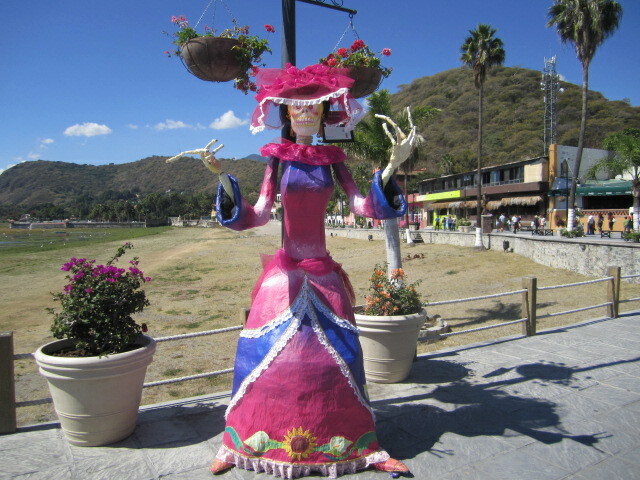 Catrina dolls are made out of every kind of imaginable material, wood, paper mache, clay, mayolica, cloth, plastic, corn husks. 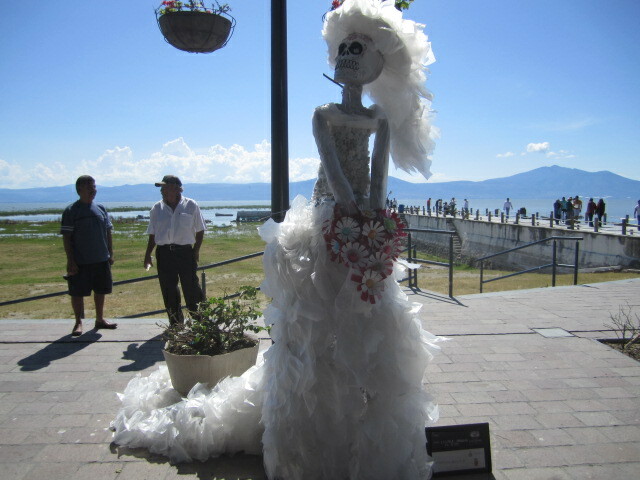 I saw one that was made out of small clear plastic bags and what looked like toilet paper. The couple getting married was a very popular one. 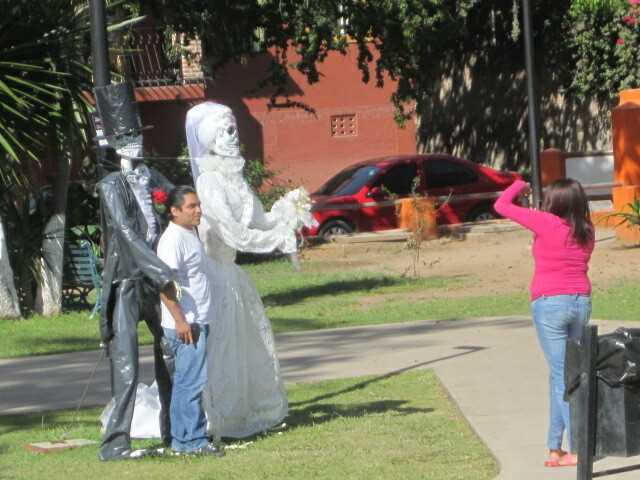 It was in the park near the malecon. I love this photo of the young couple with them. I wonder if they also have wedding plans. 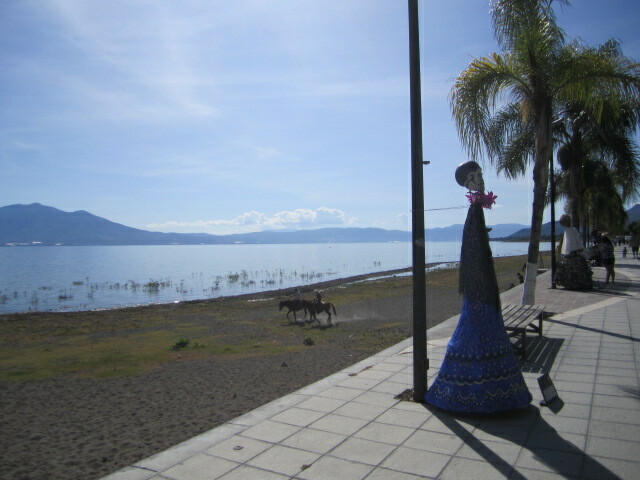 The doll in the photo above was the first one in the series along the Chapala malecon. The little girl was entranced by it. 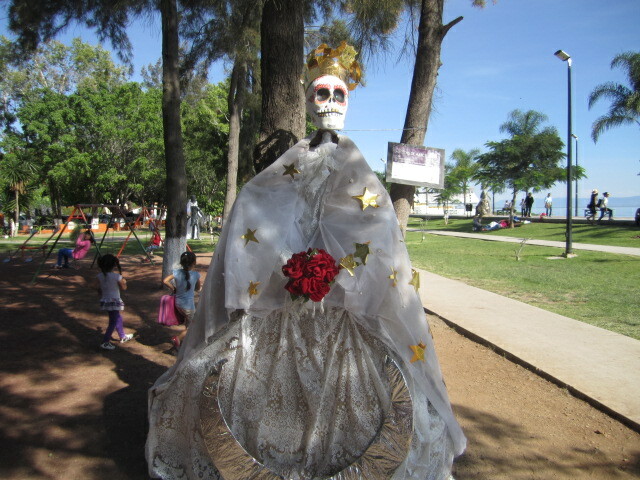 Above is the Catrina made out of small plastic bags. What a lot of work and imagination that went into this one. Actually, I was impressed by ALL of them. 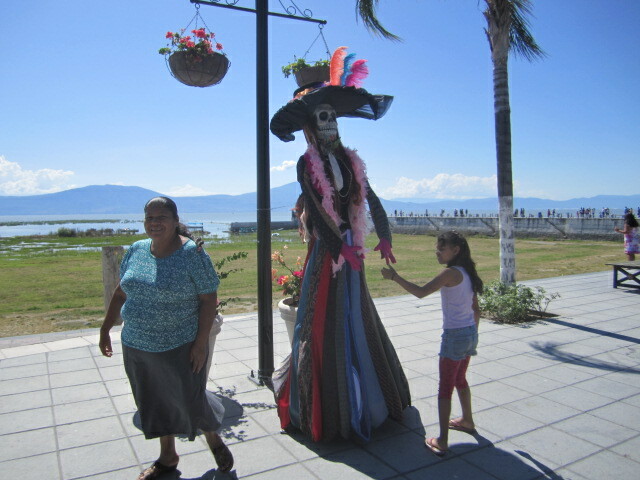 The doll in the above photo was standing at the beginning of the Chapala Pier. She was very tall and got a lot of attention because of her location. 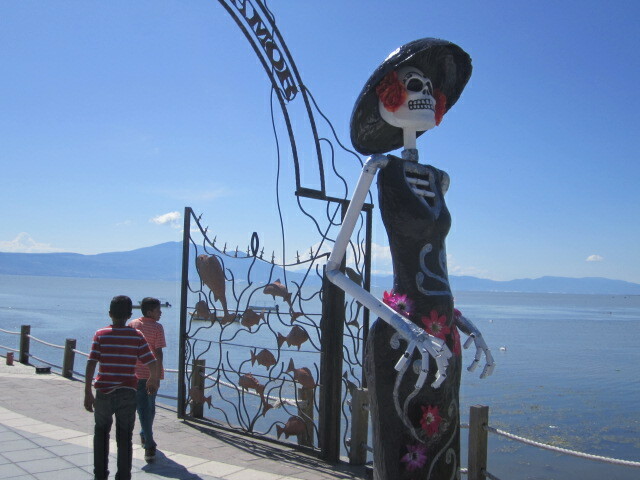 The Catrina in the above photo was one of the most sturdy because it was made out of welded bits of metal. I don’t know how much of this one the school children were able to do. It looks like a professional job to me. I liked the harp player in the above photo. The shawl was made out of plastic. 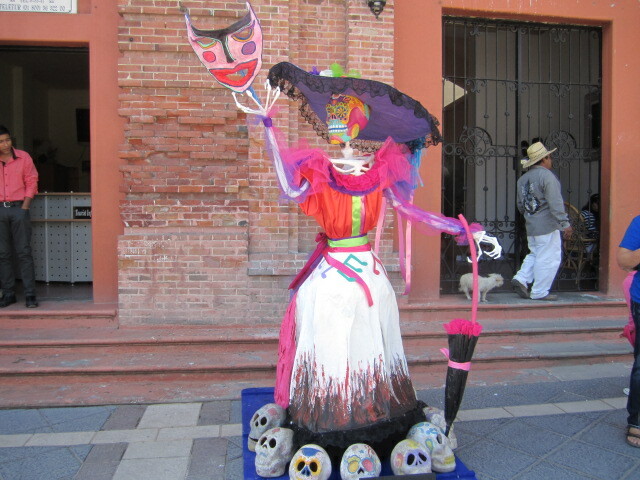 Catrina Dolls are sold all over Mexico but especially during the Day of the Dead season. They have become a major symbol of that time of the year. Below is a woman Mariachi band member with her violin. I wonder what that little boy beside her was thinking. He had such a serious expression on his face. 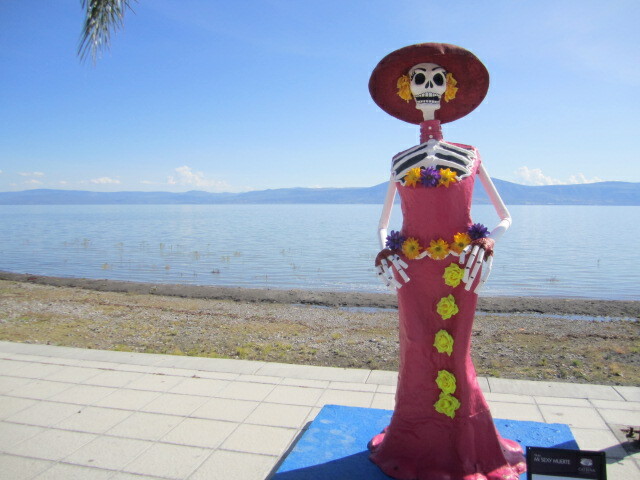 Both the Ajijic and Chapala malecons were perfect settings for the Catrina Dolls. The weather was clear and calm. The blue sky in the background showed off the costumes on the dolls. It was a great place to walk and take photos. 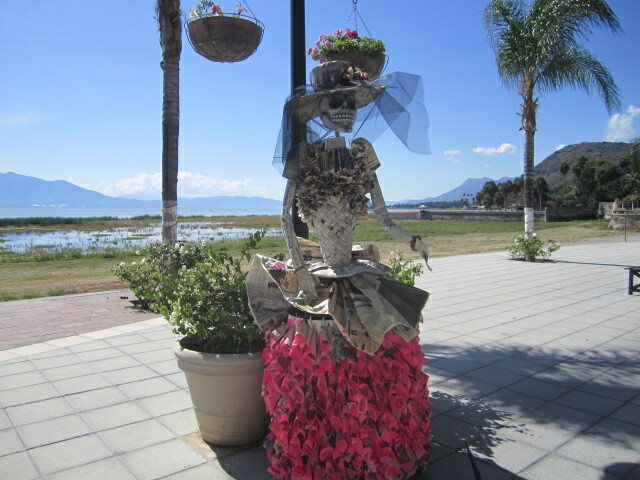 The Catrina above was one of the most fragile because it was made out of rolled up newspapers. The papers on the skirt were spray painted bright pink. It is amazing that something so pretty was made out of such simple materials. 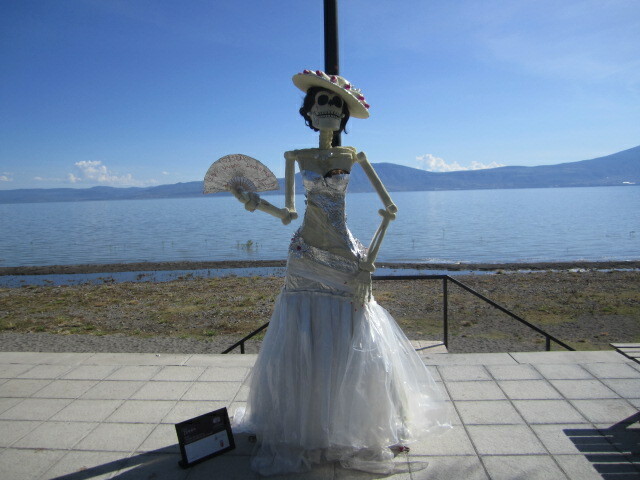 Above is the Catrina which was named Frida Kahlo. She can be recognized by her big eyebrows. 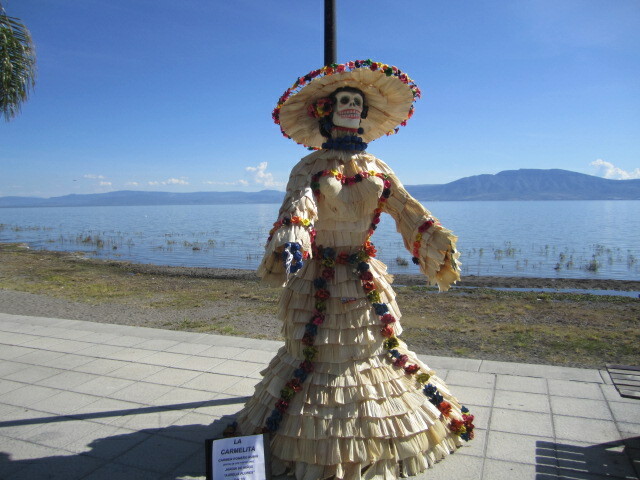 The Catrina in the photo above was made out of corn husks. I liked seeing the contrast between the doll and the little girl who was standing like a runway model. 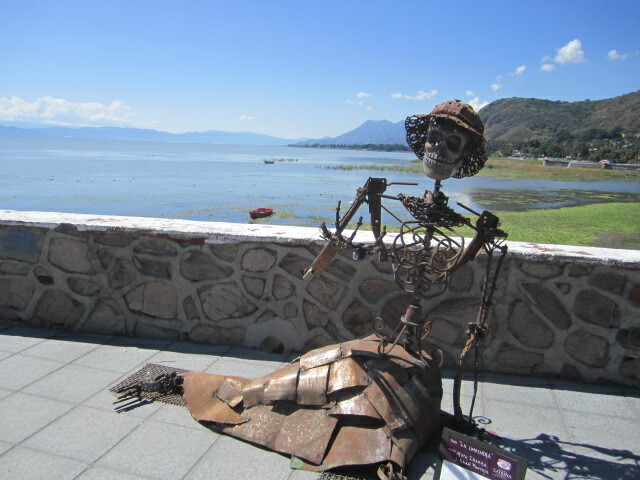 This last photo was taken in front of the municipal building in Chapala. It was very elaborate. There were several more Catrinas inside the building but it was closed the day I was there. There was also another one by the big fountain in the middle of the town. I loved these dolls. I hope you enjoyed them too.